What is my Sunday Photo? You might notice a change of direction for my blog from here on in. Before I set up my business in 2014 I wrote a parenting blog called Twins Tiaras and Tantrums and it was this initial blog that got me back into photography. My blog was all about my single parenting journey with my twins and ended up being quite popular. I bought my first DSLR to take better photos of my kids for the blog. It went well and I started doing some courses. Once I felt I was good enough I set up Wildgoose Photographics and the rest is history. Unfortunately, once my business took off I didn’t have enough time to do everything and the blog was the first thing to go. I did miss the blogging community and have decided now things are all running smoothly; I’d quite like to go back to doing a bit more blogging. However, although I LOVE my job, I do find writing about photography ALL the time quite tedious, so I have decided to combine my two passions, parenting and photography together. So I guess more of a lifestyle blog. 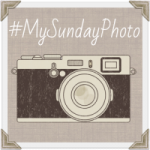 One of the things I used to enjoy is linking up to linkys like My Sunday Photo and Silent Sunday. For anyone not sure what this is, I link up my favourite photo of the week to a blog linky, so people that wouldn’t necessarily see my work, do so. It is a good way to interact with other bloggers and also gain inspiration from their work too. For all my lovely clients it will give you more of an insight into who I am and what I love. You will get to see some personal photos and posts, instead of me just blogging about work. You will also have the opportunity to interact, leave comments and follow me if you so wish. So here is My Sunday Photo, zoomed in and taken on my iPhone 7+ an amazing phone with a half decent camera, which is why I chose it. 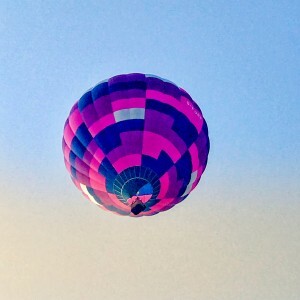 This hot air balloon flew right over our house the other day. We have lived here 10 years and I have never seen one this way in all of that time. I’m so glad you are back Lisa – and I am a few years behind you but totally with you on the photography turning into a business. You are one of my inspirations. Great shot s always and I am looking forward to seeing more from you on the blog front. How wonderful to see a hot air balloon so close to home. I’d have had to take a photo too. I use to see loads when I was a kid. I wonder if there isn’t so many around now?!? wow that’s an amazing phone photo. Very impressive. Hi Lisa, what an apt photo for your post! There’s nothing wrong with mixing it up a bit, it keeps things interesting. Those iPhones do take good photos! By the way did you get any other nice shots? We eventually landed in the school (Sponne?) on the last day of term which went down well! We always come and fly from the circuit during the Classic weekend so will be back next July, you never know if the wind is right we may be back! Happy to take you flying if you want some arial photos!